Napoleon Jones-Henderson was born in 1943 in Chicago, Illinois. Jones-Henderson attended the Sorbonne Student Continuum-Student and Artists Center in Paris, France in 1963 where he was immersed in an independent study program in French Art History and Figure Drawing. Upon returning to the United States, he enrolled in the Art Institute of Chicago receiving his B.F.A. degree in 1971. Jones-Henderson went on to earn credits in advanced graduate studies in Fine Arts at Northern Illinois University and earned his M.F.A. degree in Interdisciplinary Arts from the Maryland Institute College of Art in 2005. In 1968, during the apogee of the Chicago Black Arts Movement, Jones-Henderson became a member of the Chicago-based artists’ collective called COBRA (Coalition of Black Revolutionary Artists). The collective changed its name in 1969 to AfriCOBRA (African Commune of Bad Relevant Artists). During the formative years of AfriCOBRA, Jones-Henderson created large pictorial woven tapestries that were included in the group’s important series of exhibitions. In the early 1970s, exhibitions were mounted at the newly founded Studio Museum in Harlem and the Museum of the National Center of Afro-American Artists in Roxbury. He has been an active member of AfriCOBRA since 1969. Jones-Henderson is one of the longest continual active members. In 2011, the documentary AfriCOBRA: Art for the People was produced by the TV Land Network. The documentary chronicles the history and celebrates the contributions of AfriCOBRA to the 1960s Black Arts Movement. 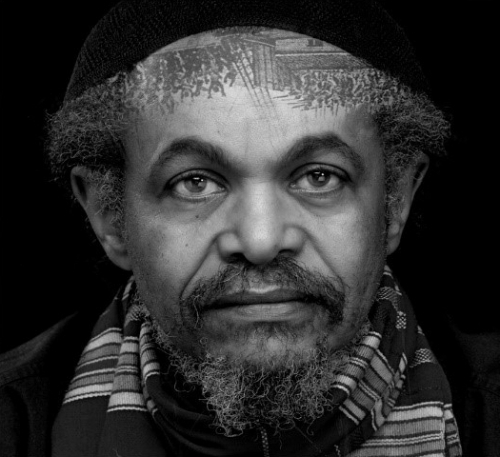 Over the course of his career, Jones-Henderson has served in various academic positions at Malcolm X College in Chicago, Massachusetts College of Art and Design, Emerson College, Roxbury Community College, and Vermont College of Norwich University. In 2005, Jones- Henderson was appointed associate professor of art at Benedict College in Columbia, SC. In addition, Jones-Henderson served as artist-in- residence at Towson University, Syracuse University, and the McDonough School. Jones-Henderson has been honored with artist residencies, lecture in residencies, visiting artist, juror, and curator of numerous exhibitions and panels. Jones-Henderson is Executive Director of the Research Institute of African and African Diaspora Arts, Inc. and BENNU ARTS, LLC., in Roxbury. He has received awards, both for his artwork, and in recognition of his community in-reach, and curatorial efforts championing Black Art internationally. He was honored by the National Conference of Artists with the Award of Excellence and the Massachusetts State Senate, “Omical Citation for Cultural Excellence.” Among others, Jones-Henderson has received the Boston Foundation’s “Brother Thomas Fellowship," the Merit of Honor Award from the Walters Art Museum in Baltimore, and the Award for Outstanding Recognition from the Museum of Science and Industry in Chicago. His artwork is in the collections of the DuSable Museum of African American History, Schomburg Center for Research in Black Culture, Southside Community Art Center, Hampton University Museum, Brooklyn Museum of Art, Museum of National Center of Afro-American Artists, and Studio Museum in Harlem. In addition, his artwork is in distinguished private collections and numerous public art commissions.